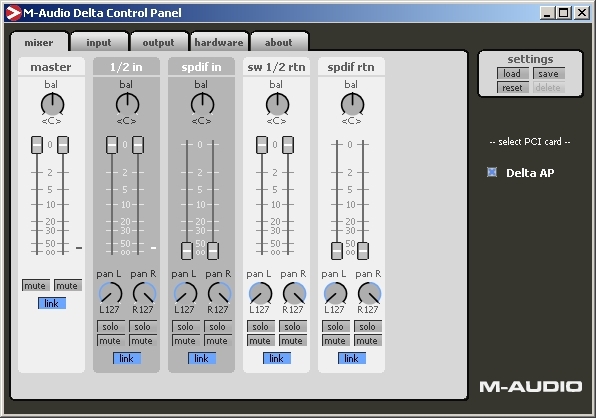 Install the board per the instructions in the M-Audio manual. 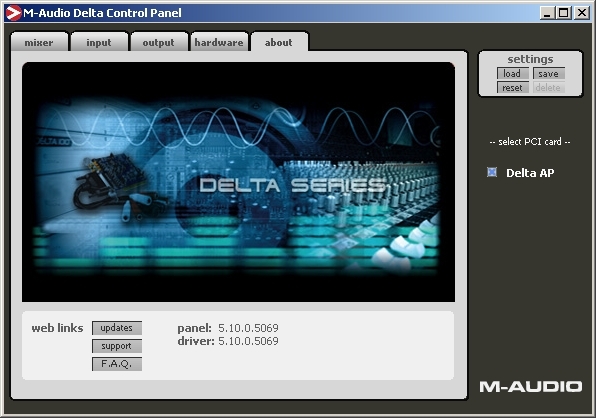 Then download the latest drivers from M-Audio Support. Select Delta Series, Delta Audiophile2496, and your operating system. Install the drivers. 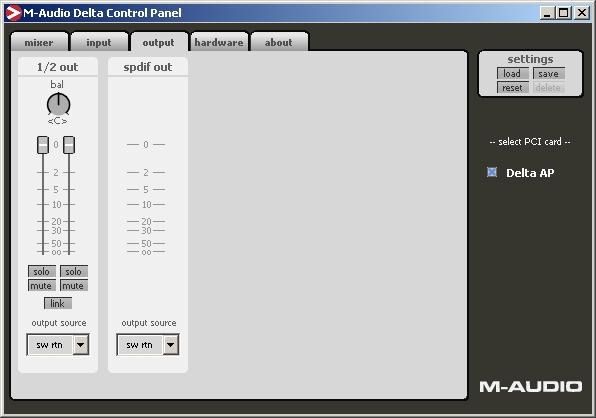 Open the M-Audio Control Panel after installation. Shown below is the latest version as of this writing. Match your settings to those shown in the following screens. The input tab has no settings of interest to us. It just shows the audio levels of the incoming audio.